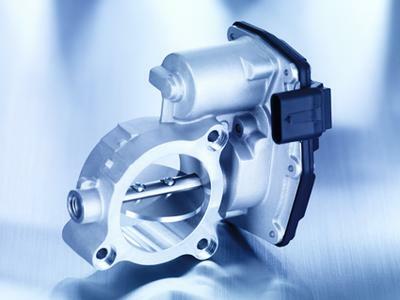 A Chinese OEM has awarded Pierburg, a subsidiary of the KSPG Group which, in turn, is a member of the Rheinmetall Group, an order with a lifetime value of around €85 million for control valves, actuators for intake manifolds, and electric switchover valves. These are parts belonging to the chain of mechatronic components for an effective emission technology and are partly fitted with integrated electronic controls. They will be installed in two-liter diesel engines destined for SUVs, pick-ups, and delivery vans. The control valves produce a pressure drop in the engine for recirculation of the exhaust gases and on compression ignition diesel engines ensure efficient and effective engine switch-off. The actuators on the intake manifold adjust the tumble valves in the manifold for improved air/fuel mixture in the combustion chamber. The electric switchover valves are needed for regulating the EGR cooler bypass while also ensuring reduced NOx emissions. A part of the valves will sourced locally from Pierburg's Chinese plant in Kunshan starting from 2018, another from the German plant in Berlin. The components ordered represent state-of-the-art exhaust-gas engineering and also serve to ensure compliance with strict Chinese emission standards comparable to the Euro 5 and Euro 6 regulations. The KSPG subsidiary Pierburg is thus once again documenting its competence in emission reduction by introducing its longstanding expertise on this subject into the Chinese auto market.